On this site facing Victoria Avenue East in Brandon, on the southeast corner of its intersection with First Street, stood the St. Michael’s Roman Catholic Academy. 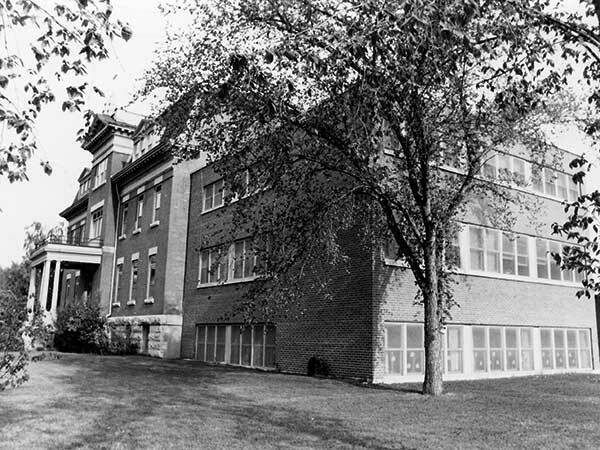 Constructed between 1909 and 1910, it was a senior day and boarding school operated by the Sisters of Our Lady of the Missions. The facility was later used as housing for elderly nuns and was finally demolished. As of 2007, the site is occupied by a residential complex for seniors. Source: Archives of Manitoba, George Harris Fonds, Acc. 1979-141, P7456, Album 4, Page 64. 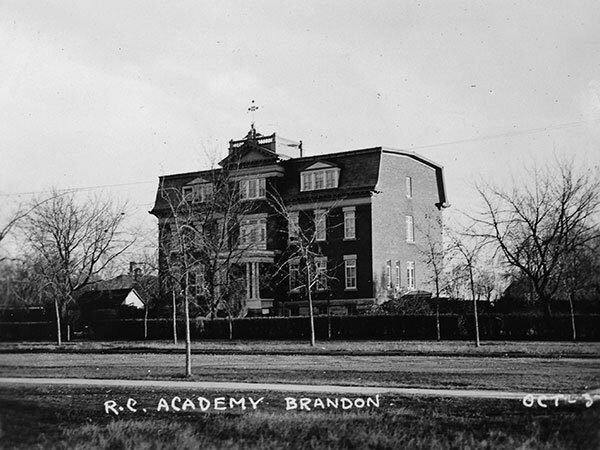 Source: Archives of Manitoba, Architectural Survey - Brandon - St. Michaels Academy 15. 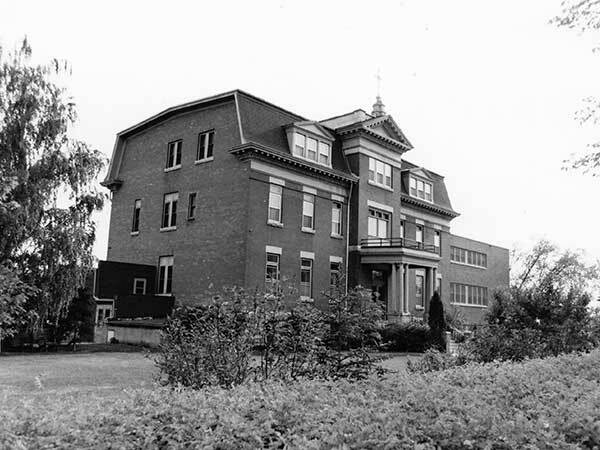 Source: Archives of Manitoba, Architectural Survey - Brandon - St. Michaels Academy 19.